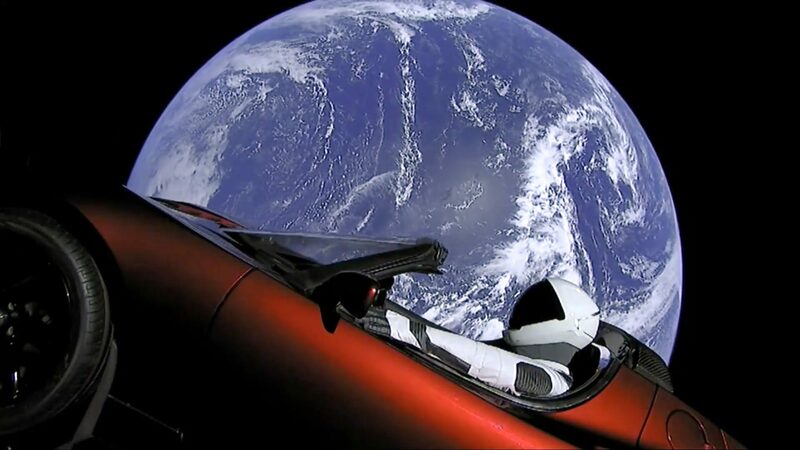 FACT CHECK: Is This Car Really in Space? Is This Car Really in Space? A series of images showing a Tesla Roadster looking down on earth from space are real. 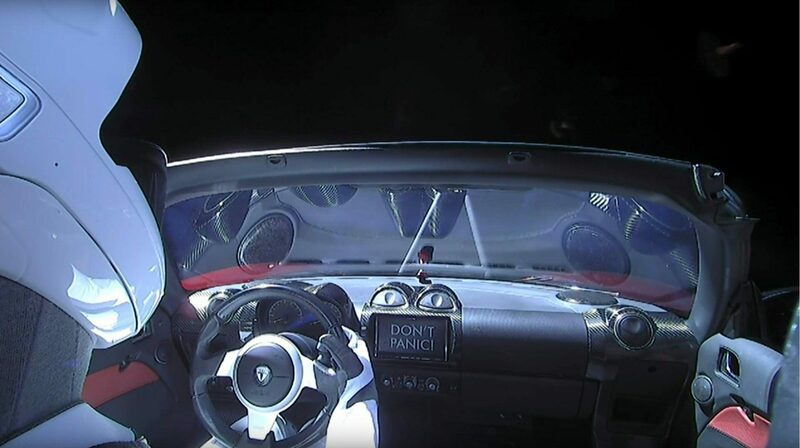 A series of images show a Tesla vehicle in space. 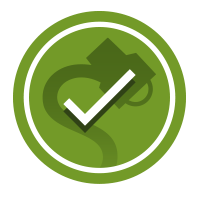 If you were to ask us prior to 6 February 2018 if an image of an automobile in space was real, we’d reply, with almost no hesitation, that the photograph was likely a fake. But after that date? Well, there’s a chance that we’d be looking at an authentic image of Tesla Roadster. On Tuesday, Feb. 6th at 3:45 PM ET, Falcon Heavy successfully lifted off from Launch Complex 39A at Kennedy Space Center in Florida. Falcon Heavy is the most powerful operational rocket in the world by a factor of two, with the ability to lift into orbit nearly 64 metric tons (141,000 lb)–a mass greater than a 737 jetliner loaded with passengers, crew, luggage and fuel. Falcon Heavy’s first stage is composed of three Falcon 9 nine-engine cores whose 27 Merlin engines together generate more than 5 million pounds of thrust at liftoff, equal to approximately eighteen 747 aircraft. Only the Saturn V moon rocket, last flown in 1973, delivered more payload to orbit. SpaceX’s February launch was just a test run for the Falcon Heavy rocket. As such, the payload didn’t have to be anything specific. In December 2010, for instance, Musk launched a wheel of cheese into space during a test flight of the company’s Falcon 9 rocket. Elon Musk’s Tesla Roadster, which launched on top of SpaceX’s Falcon Heavy earlier today, is going farther out into the Solar System than originally planned. The car was supposed to be put on a path around the Sun that would take the vehicle out to the distance of Mars’ orbit. 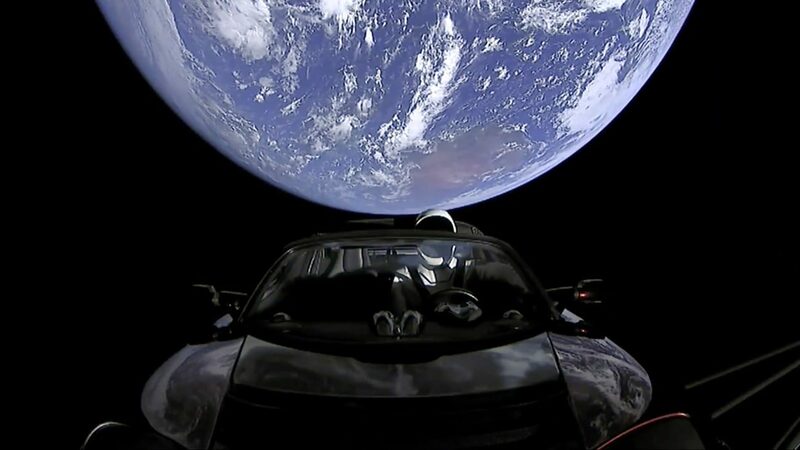 But the rocket carrying the car seems to have overshot that trajectory and has put the Tesla in an orbit that extends out into the asteroid belt between Mars and Jupiter. Correction [7 February 2018]: Musk's company is called SpaceX, not TeslaX, as a previous version of this article erroneously stated on first mention. The Verge. 6 February 2018. New York Times. 6 February 2018.